Caffe2 is powering some of the coolest advances in mobile applications, especially for the camera. 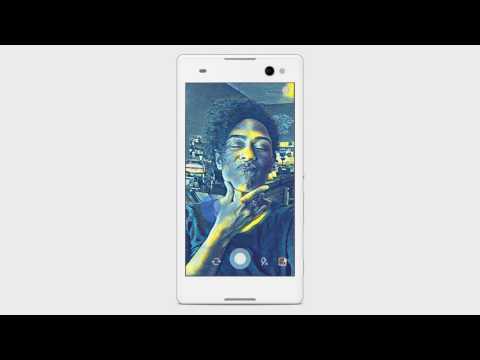 In this recent announcement of Facebook’s updated camera features, many of the effects, including style transfer can be attributed to Caffe2. Install your IDE of choice or be prepared to build manually. Below we provide instructions for building with Android Studio. In this example we are going show very fast object detection that can be used after an image is taken or in real-time while the camera is in its viewer mode. We will use a pre-trained model that was built from a database of 1000 objects. Detection time can suffer a little as well, so as you work on your own models you will want to analyze the tradeoffs of accuracy, range, size, and speed. The name of the object will be shown along with the probability result - how much the model believes the object matches with the similar object that was in its training dataset. Keep in mind that as part of the processing for Caffe2, images should be square, so that even if the camera takes a 16:9 or other non-square image and passes that into the detection flow, it will need to be resized to be square. In this example we also resize the image to 224 x 224. You will may notice that it is referred to 224x224x3, the first two being height and width, and the last part (3 for RGB) referring to the colorspace, which brings us to our next very important topic. Each camera hardware/software platform can treat color and colorspace differently, so that when you are reading the information from the camera, realize that this information needs to be conformed to one common standard before sending it forward for detection in Caffe2. In the Android code examples here, you will see that the image data is converted from YUV to RGB. Here is a code sample that shows grabbing the image preview size, converting to RGB, grabbing a matrix of the result, and applying this to create a bitmap that can be used for processing. Which Camera Are We? Are We Landscape or Portrait? Things are not always straightforward. Sometimes things go sideways. So we’re going to check rotation and make sure which camera we’re using so we can adjust the result in case it is mirrored. // Undo the mirror compensation. Getting a properly formatted image into Caffe2 is of utmost importance and failure to do so tends to be a common problem in getting your camera app to work with Caffe2. Part of the issue is that you may think you’re passing in a valid image. Everything seems to work without any error, except the detection results are not even close to accurate. If you see results like “sand dunes”, “windowpanes”, “window blinds”, and things of that nature it is probably because the input image is corrupted and looks like a TV screen on the blink with lots of horizontal lines that… look like window blinds. So in a way, it was working, but not how you wanted it. It will help to output your intermediate images to screen/disk so you can look at them and make sure they’re square, proper aspect ratio, not squeezed, and still have the droids you’re looking for. Note: Attempting to use too large a preview size could exceed the camera bus’ bandwidth limitation, resulting in gorgeous previews but the storage of garbage capture data. Click the green play button in Android Studio 2.2 and everything should build :) If you run into problems, check the Troubleshooting section below. Solution: Manually go into the directory and run the script. Solution: From Android Studio, click Tools > Android > SDK Manager. Click SDK Tools, find NDK in the list, and install NDK. Solution: Click the provided link below the error to “Install CMake and sync project”. 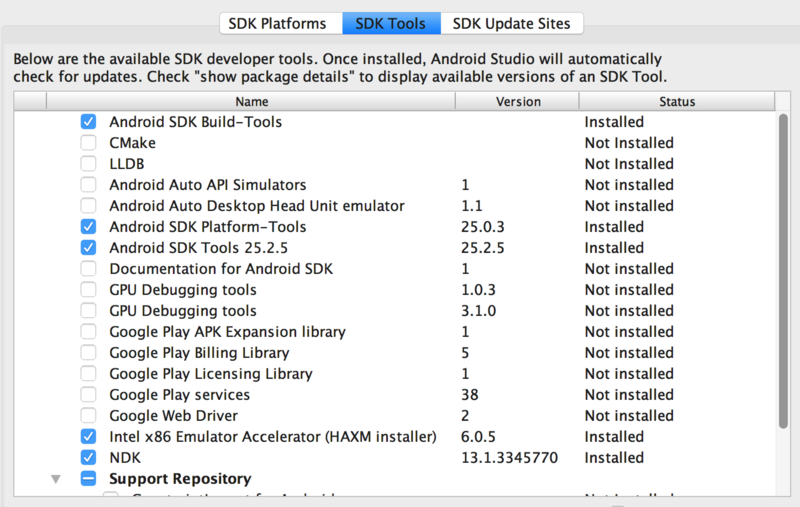 Alternatively, from Android Studio, click Tools > Android > SDK Manager. Click SDK Tools, find CMake in the list, and install CMake.